A creche facility for the children of judicial officers and staff at the Rohini district court complex in New Delhi has run into controversy for issuing a fiat that the kids of non-judicial members would be allowed only if they were "neat and clean" and "free from disease". The court staffers are now up in arms as the administrative circular also states that their children would be allowed only if the children of judicial officers were not present in the day-care facility. Several court employees, on condition of anonymity, said the circular was "discriminatory" and asked how would they know whether the children of judicial officers would avail the creche facility on a given day. Some of them rued that if judicial officers "think about us in this manner, we would like that the creche facility should be left exclusively for their children" while terming the circular as "demeaning" for the non-judicial members. 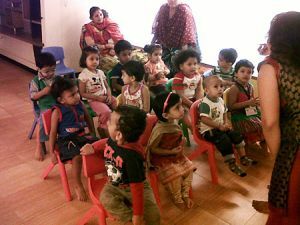 The circular issued on May 25 stated: "All the judicial officers and ministerial staff of both districts, North West and North, having female children of age group 2.5 years to 12 years and male children of age group 2.5 years to 9 years may avail creche facility located at 3rd floor at Rohini Courts complex". "However, the children of staff would be allowed if the children of judicial officers are not available and provided the children are neat and clean, hygiene is maintained and are free from disease," the recent circular issued by District Judge (North) Pradeep Chaddah and District Judge (North West) Yogesh Khanna said. The circular mentioned several rules and norms, including that "the guardians shall bring to the notice of the caretaker the particular medical requirement of the child, if the child needs any. Children suffering from any known infectious disease shall not be sent to the creche and may not be admitted and returned on that account," it said. It added that the maximum number of children to be admitted in the creche would be decided by the committee keeping in view the availability of beds and space.